Order your Faber-Castell Essentio Aluminum Fountain Pen today from FahrneysPens.com. Fine Pens, Refills & Luxurious Gifts – great prices & fast shipping. 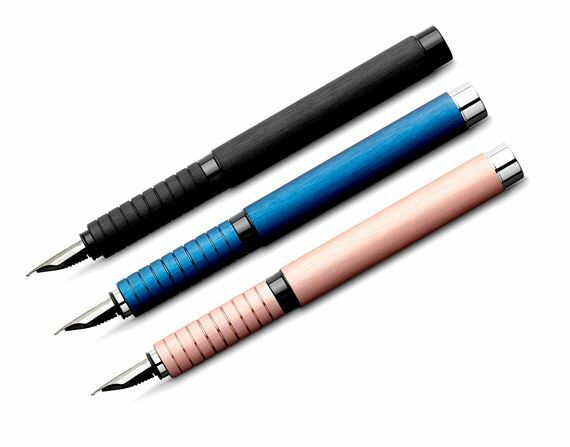 The Essentio Aluminum collection is beautiful to look at, comfortable to hold, and a pleasure to write with. 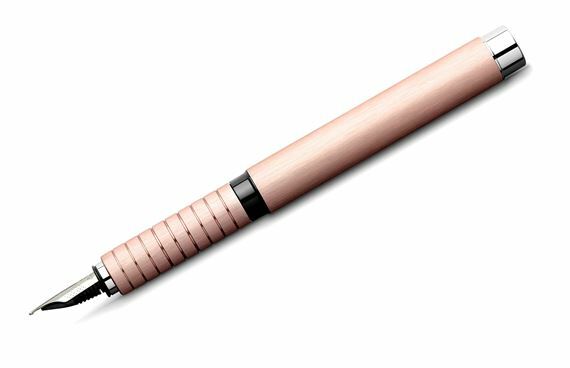 Each Faber-Castell writing instrument will be an essential addition to every pen lover's daily selection. The new brushed aluminum colors are appealing in Blue or Rose with polished chrome clip, and the stealthy Black with matte black clip. 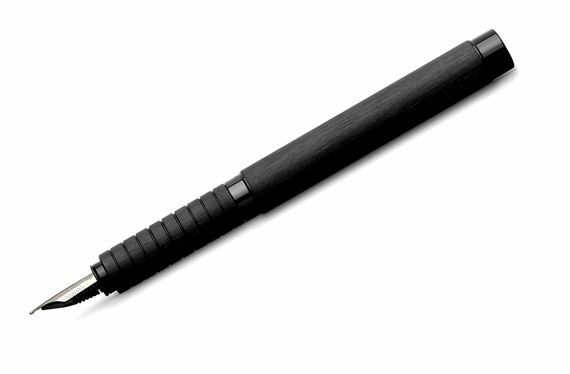 The Essentio fountain pen and ballpoint pen both have ribbed gripping sections for comfort and control while writing. The Essentio fountain pen features a smooth-writing steel nib and a window to view your ink level. Attach the Essentio to your agenda or jacket pocket with the spring-loaded metal clip and take it everywhere you go. You'll enjoy the convenience, function and great looks of the Faber-Castell Essentio pens - at very affordable prices! Fountain pen uses ink cartridges only.